I thought it might be fun to compile a list of the ten most intriguing lenses currently available. By “intriguing” I don’t necessarily mean the best ten lenses or the ten lenses I would most recommend. In fact, this is not a recommendation list. Most of the lenses on this list I have never used. This is merely a list of lenses that, from what I have heard and seen of them, seem particularly interesting. In short, lenses that are worth investigating and perhaps renting. Whether one should buy any of them, well, that’s another issue altogether. Many of these lenses are rather expensive. Canon EF 800mm f/5.6L IS USM Super Telephoto. Perhaps the greatest long supertelephoto ever made. From luminouslandscape.com we find the following comment: “...this new lens appears to be as close to perfect optically as current technology can make it. Though I did not shoot test charts or newspapers scotch-taped to garage doors, I did enough real-world field shooting with it to see that image quality is exemplary.” Only downside? — it costs $14,000! AF-S NIKKOR 14-24mm f/2.8G ED. Generally considered the finest ultra-wide angle zoom lens ever made. It is nearly as sharp as the Zeiss 18mm f/3.5 Distagon T* ZE prime lens. Very impressive! On the other hand, given that the Nikkor costs $2,000, it better be impressive. PC-E NIKKOR 24mm f/3.5D ED. At $2,000, this is another expensive Nikon lens. Why should a rather slow (f3.5!) Nikon prime be so expensive? Very simple: it’s a tilt-shift lens. As Nikon put it in a press release upon the introduction of the lens to the market: “This new lens is equipped with a tilt / shift mechanism that gives photographers the flexibility to manipulate image perspective, distortion and focus.” The lens like this allows one to imitate (up to a point) what photographers such as Ansel Adams achieved with their large format cameras. It allows control of perspective and the plain of focus. With the lens you make a tall skyscraper perfectly straight. Or you can create two focus points, one in the foreground and the other in the background, so that if you’re taking a photo of some flowers with the Grand Tetons in the background, you can get the flowers and the Tetons in focus. Just think of all the possibilities! Pentax SMC FA 31mm f/1.8 AL Limited. When this lens was released ten or so years ago, Popular Photography (March 2002 issue) called this lens one of the greatest prime lenses it had ever tested. The lens has since cemented its reputation among lens geeks as one of the greatest auto-focus lenses ever made. 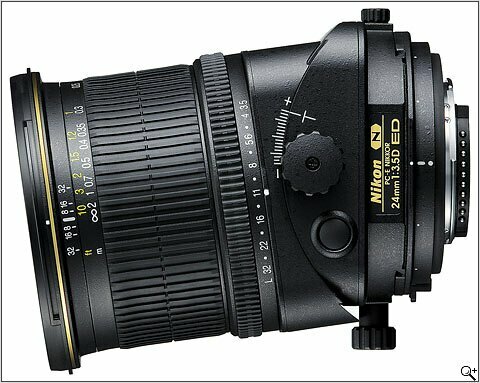 Why is it considered in some quarters as superior to faster lenses like the AF-S NIKKOR 35mm f/1.4G? Because not only does it feature impressive resolution, contrast, and those stunning Pentax colors, it also has some of the most gorgeous bokeh you’ll ever find in a wide angle SLR lens. Sigma AF 8-16mm f/4.5-5.6 DC HSM. This is the widest rectilinear lens ever made for the APS-C sensor. It covers a 114.5°-75.7° degree angle of view. The lens is sharp, well controlled for CA, and features very good color rendition. Wide angles of this sort demand creativity and in the hands of a talented photographer can lead to rather astonishing photos. Sony 24-70mm f/2.8 Carl Zeiss Vario Sonnar T Zoom. While the Nikkor 24-70 f2.8 tends to get all the kudos, the Sony Zeiss branded 24-70 may be the better lens. Whether it is or not, it would still quite an experience to use an auto-focus Zeiss zoom lens. Zeiss has for more than half a century made some of the very best SLR lenses, and their T* coatings contribute to some of the best color rendition I’ve ever seen. Zeiss Distagon 18mm f/3.5. As fine as Sony’s Zeiss zoom undoubtedly is, a Zeiss prime is even better. There are ten Zeiss primes available for Canon and Nikon mounts, and one could really get by with choosing any of them — or all of them, for that matter. They are all, to be sure, very expensive; and only a wealthy person could afford them all. If I could have only one, it would be the 18mm Distagon, not because it’s necessarily better than any of the others (it probably isn’t), but merely because 18mm is a favorite focal length of mine (on APS-C) and no one else makes an 18mm SLR lens. Images I’ve seen taken with this fine piece of glass not only have the usual Zeiss clarity and resolution, but the outstanding, bright, vivid color. Pentax DFA 100 f2.8 WR Macro. Among macro lenses currently available, this Pentax jewel may be the best. It’s not only very sharp, but features those special colors and bokeh that distinguish Pentax lenses from the competition. Nikon’s newest 105mm macro comes very close, but the Nikkor weighs over two times as much as the Pentax, and size matters. A heavy lens is more difficult to handle, whether on a tripod or hand-held. The Nikkor is weighed down by technology that is not very useful in macro work and which introduces built-in obsolescence to the lens: namely, an auto-focus motor and VR (which allegedly doesn’t work very well in close-up photography). Sigma 200-500mm f/2.8 APO EX DG Ultra-Telephoto Zoom. Admittedly, this is hardly the world’s most practical lens. It weighs almost 35 pounds and costs nearly $26,000. But if you read the reviews at Amazon.com, you’ll realize why this lens belongs on this list. A lens that doubles as a rocket launcher and can be flown around like the Wicked Witch of the East zooms about on her broom is not to be missed. SMC PENTAX DA 10-17mm F3.5-4.5 ED (IF) Fish-Eye. Pentax pioneered the fisheye zoom with their full frame F 17-28 f3.5-4.5 fisheye zoom, released in 1995. In 2006, Pentax released the APS-C equivalent, the 10-17. While not as sharp as the new Canon EF 8-15mm f/4L Fisheye, it features better color rendition, a more useful focal length for Pentax APS-C digital cameras, is more compact, and costs less than a third the price of the Canon.